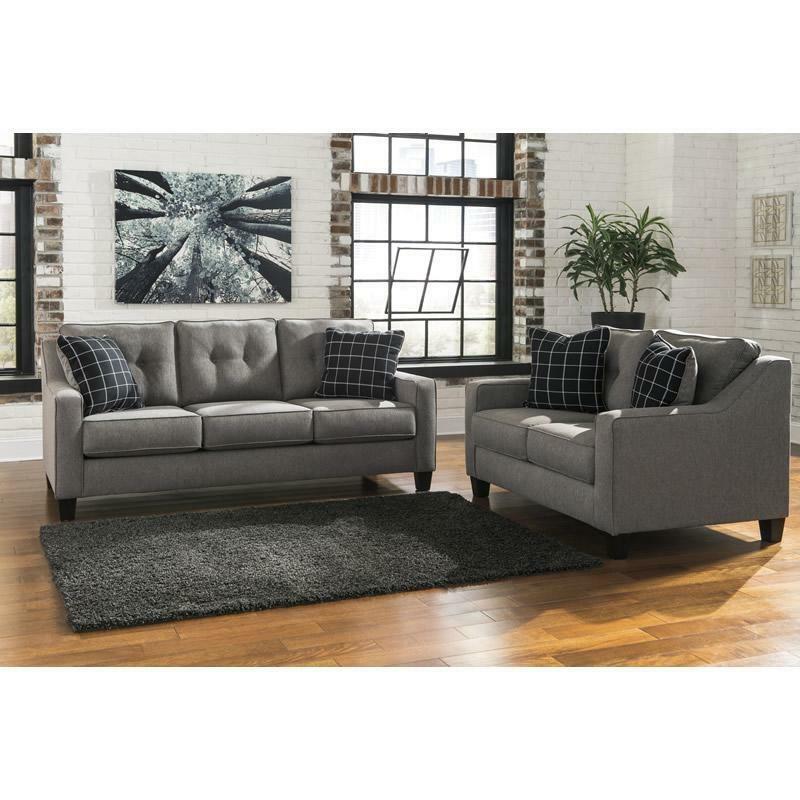 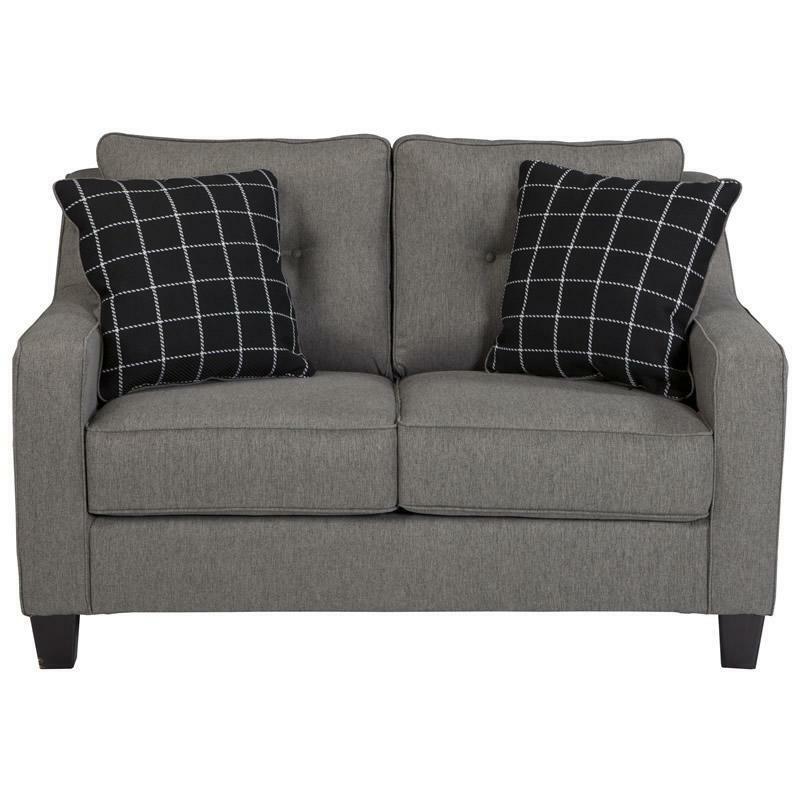 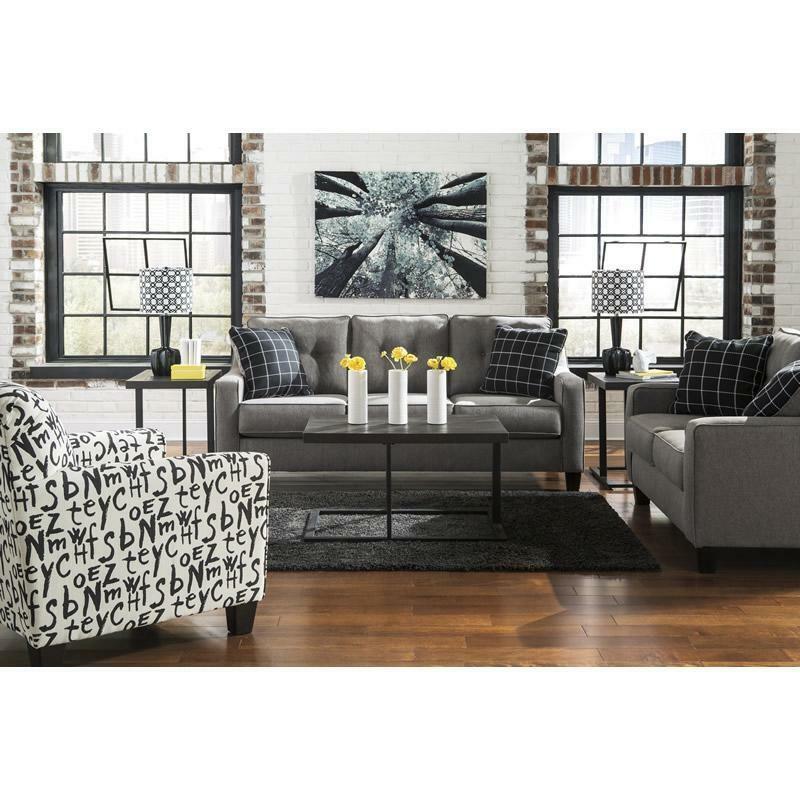 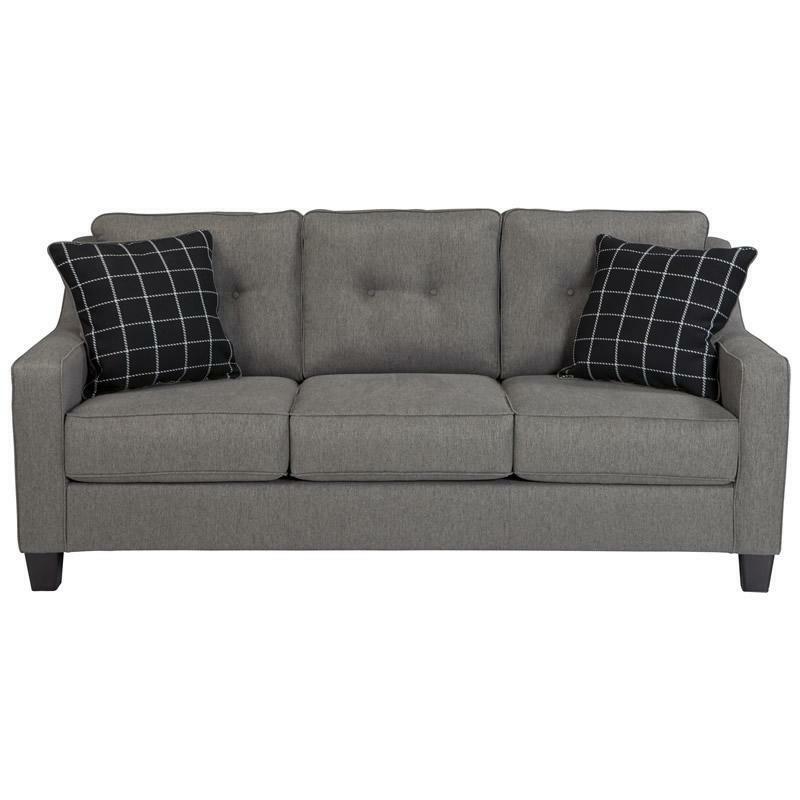 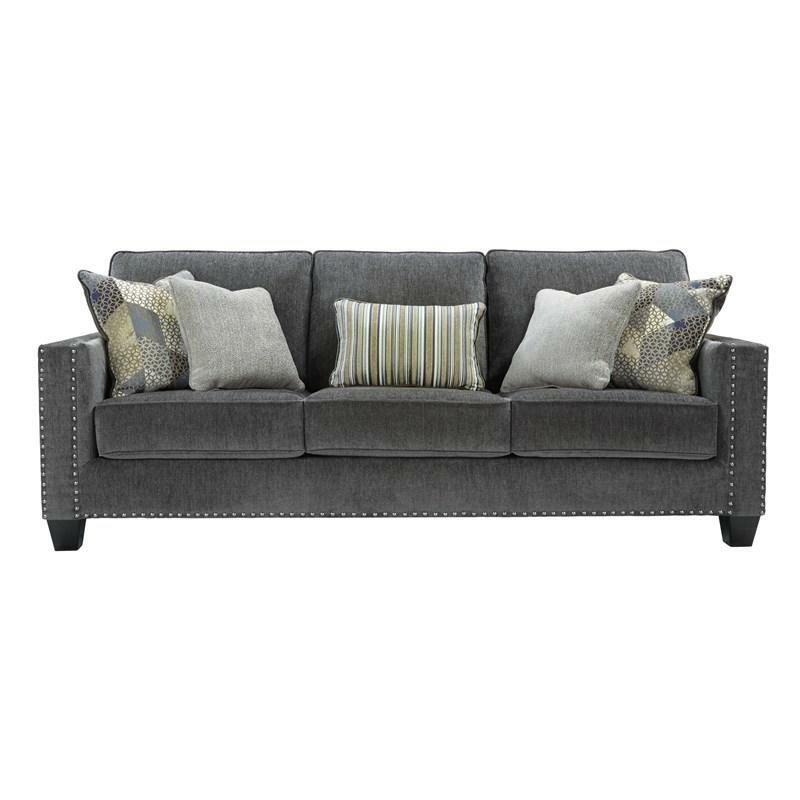 Beautifully adorned with welt trim detailing and button tufted accents, the Benchcraft “Brindon-Charcoal” sofa is sure to transform any home with sophisticated contemporary design. 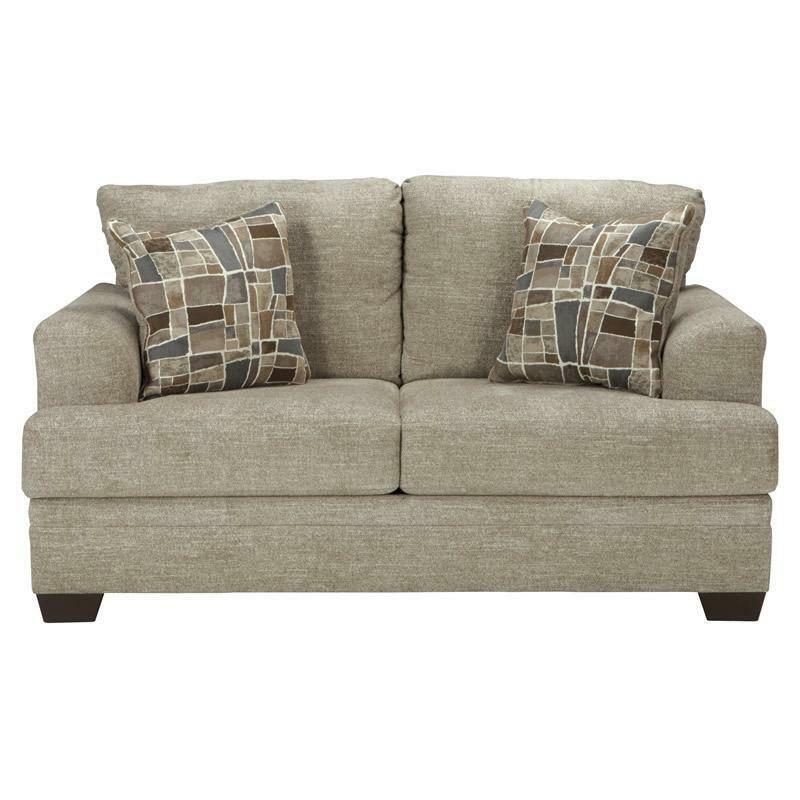 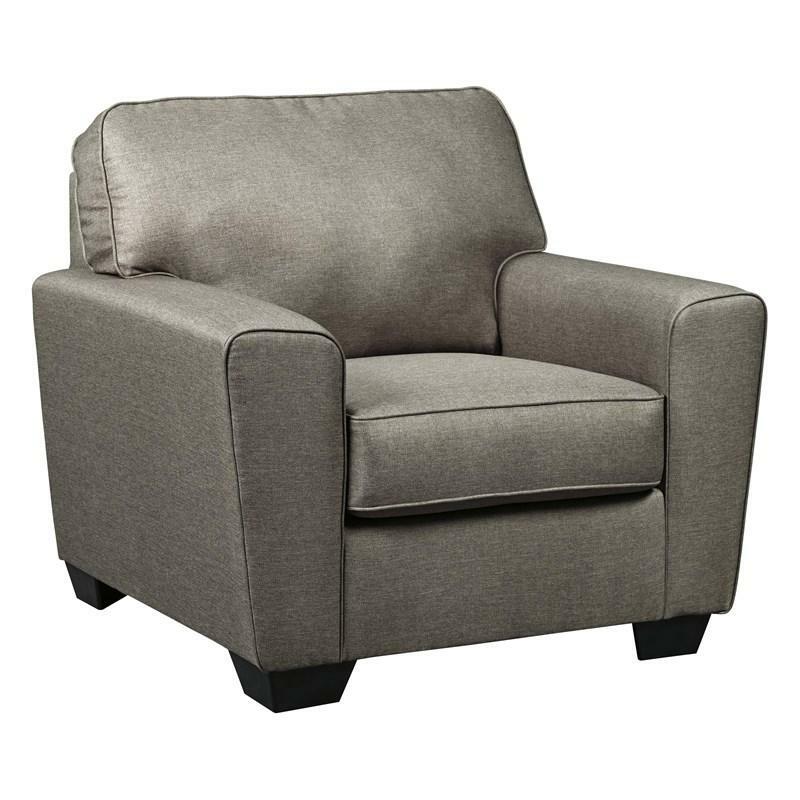 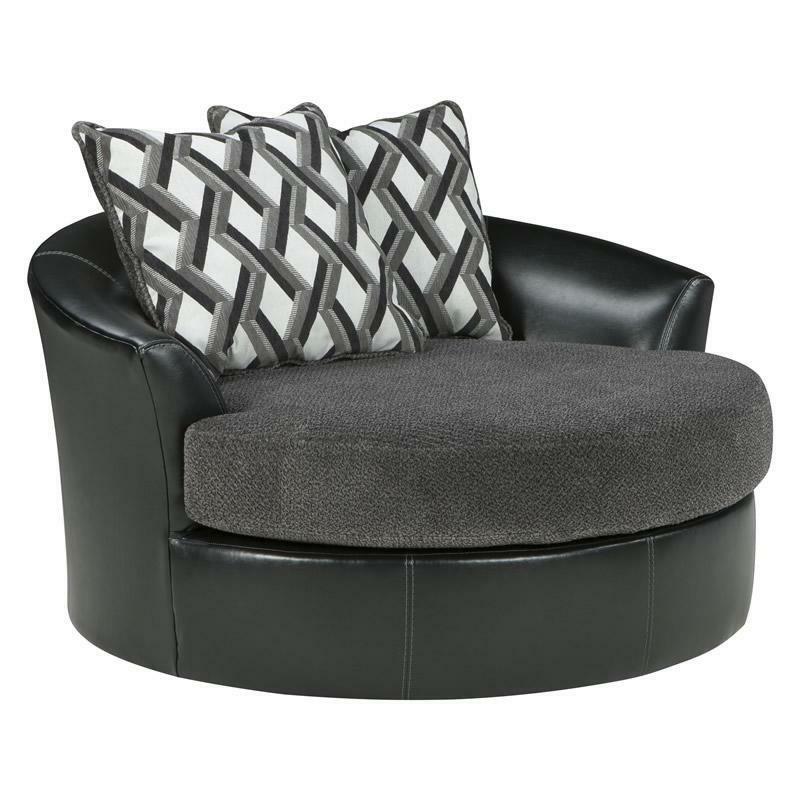 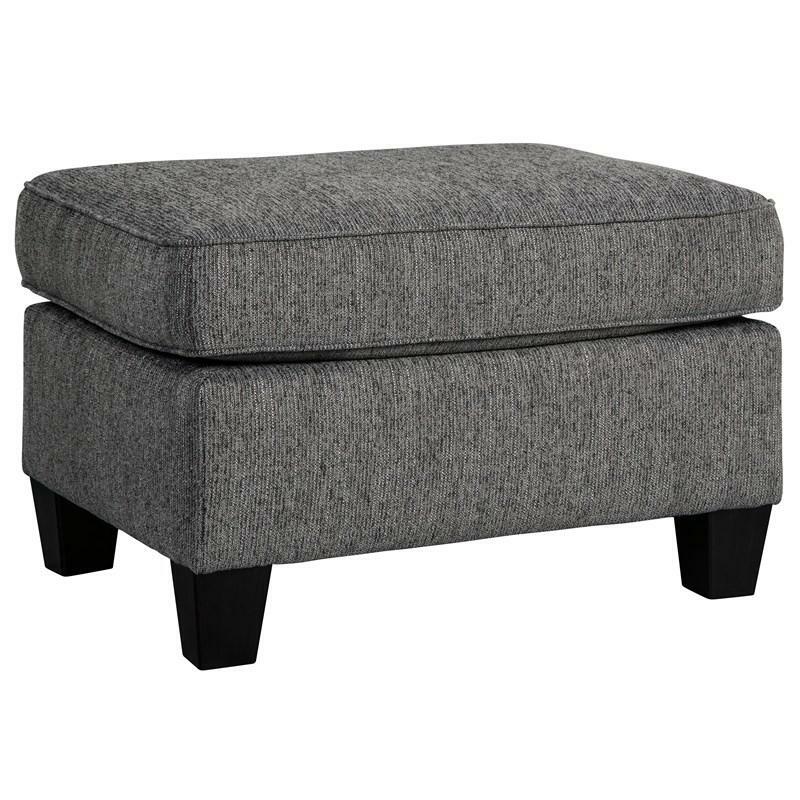 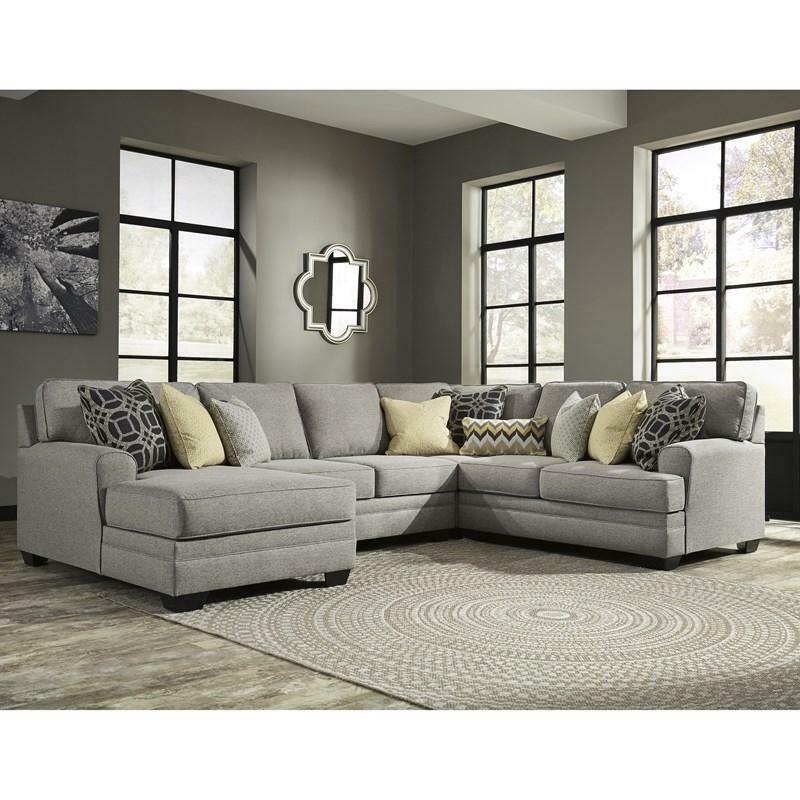 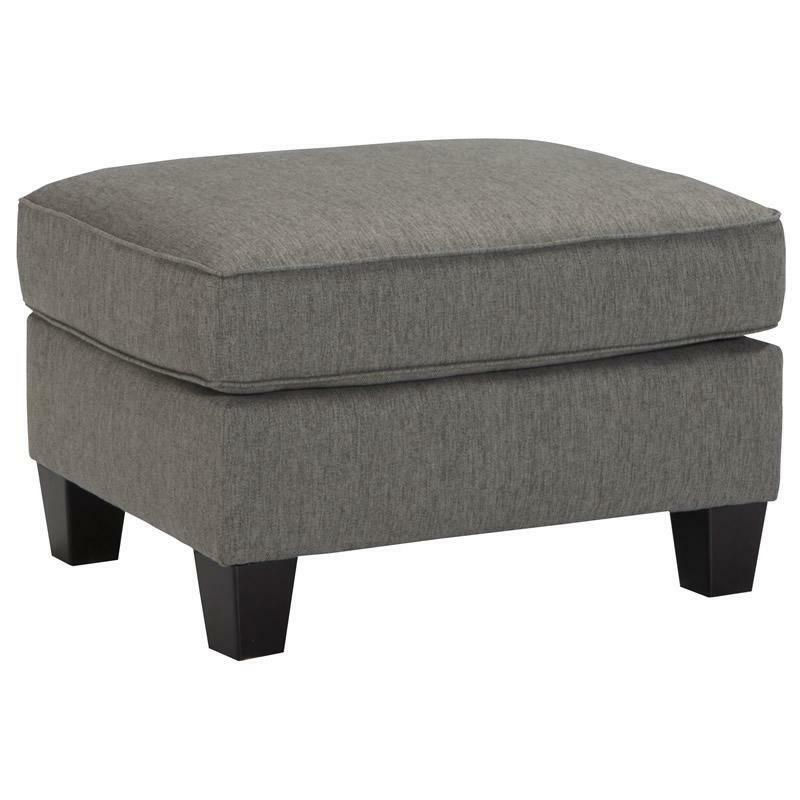 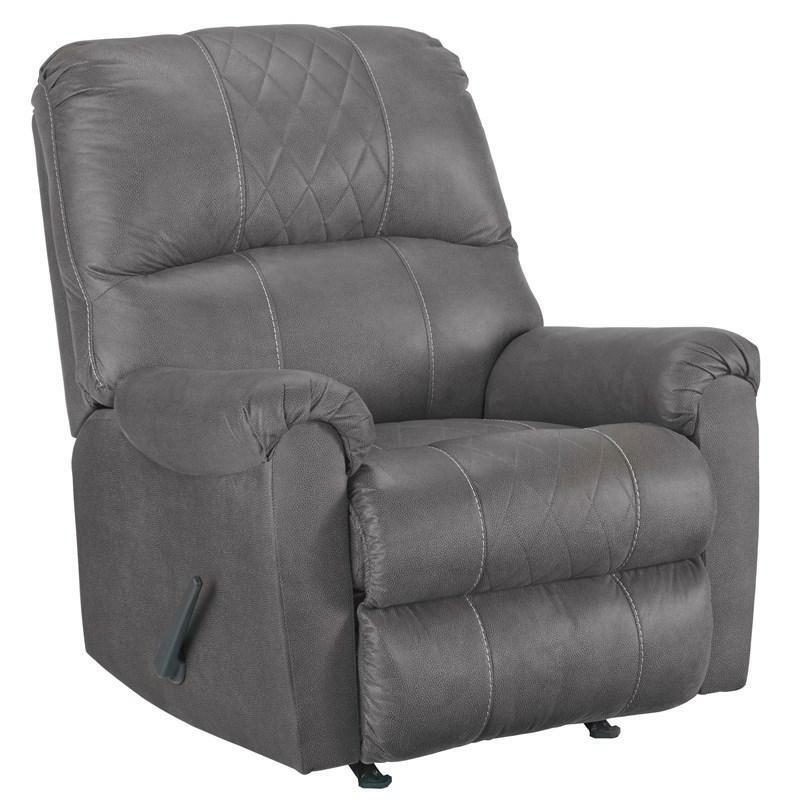 The sleek track arms bookend the relaxing feel of plush boxed seat cushions all surrounded within a soft textured microfiber upholstery fabric perfectly fusing relaxing comfort with contemporary style. 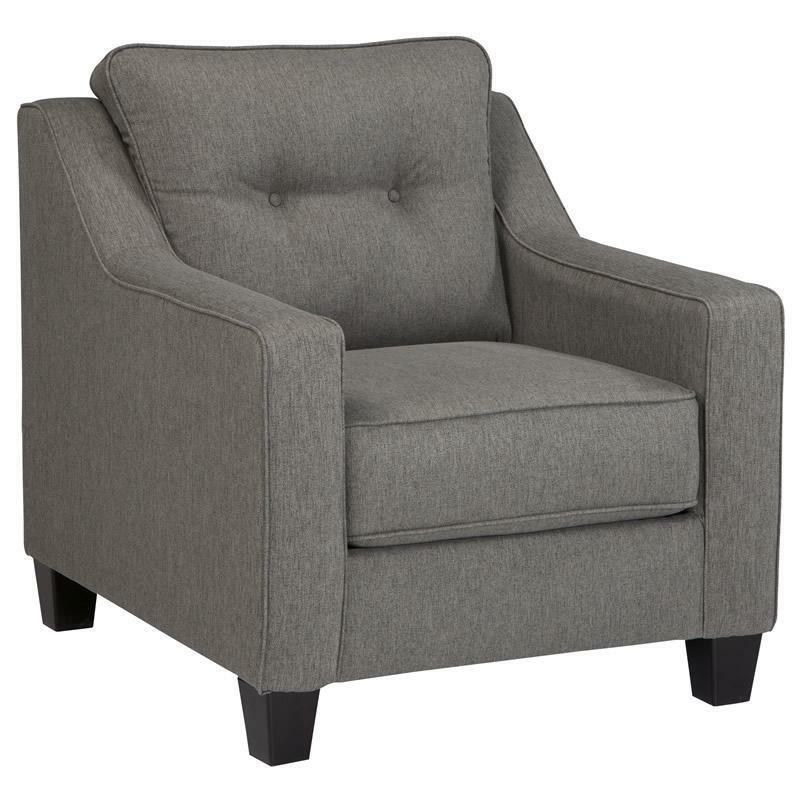 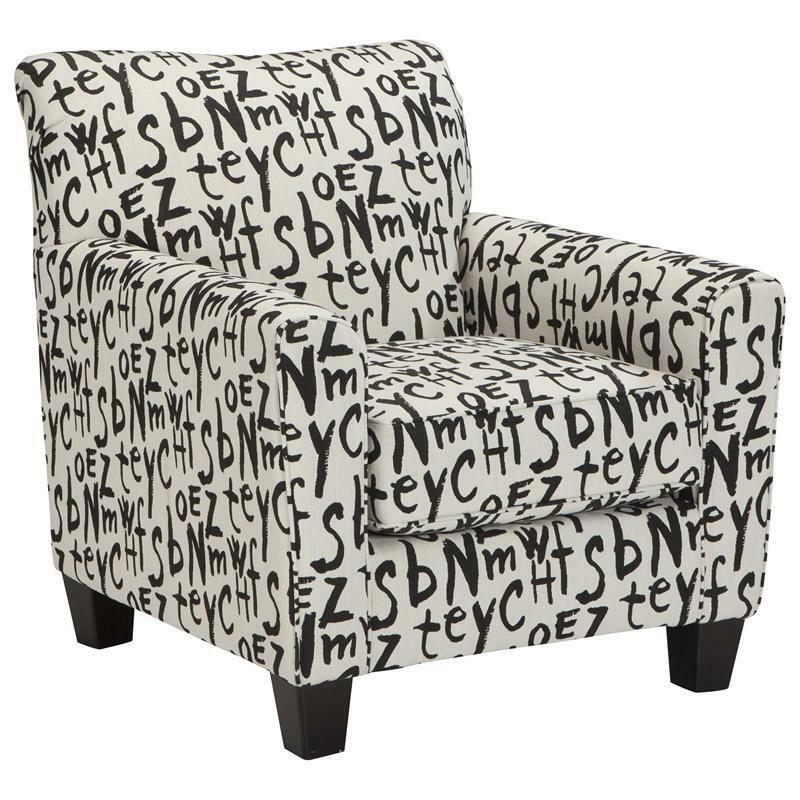 Additional Information Welt trim; Distance between arms 69.50"; Arm height 25.50"; Leg height 4.50"